The staff at Wildwood Guitars has had the privileged of playing so many fantastic instruments over the years, both old and new. 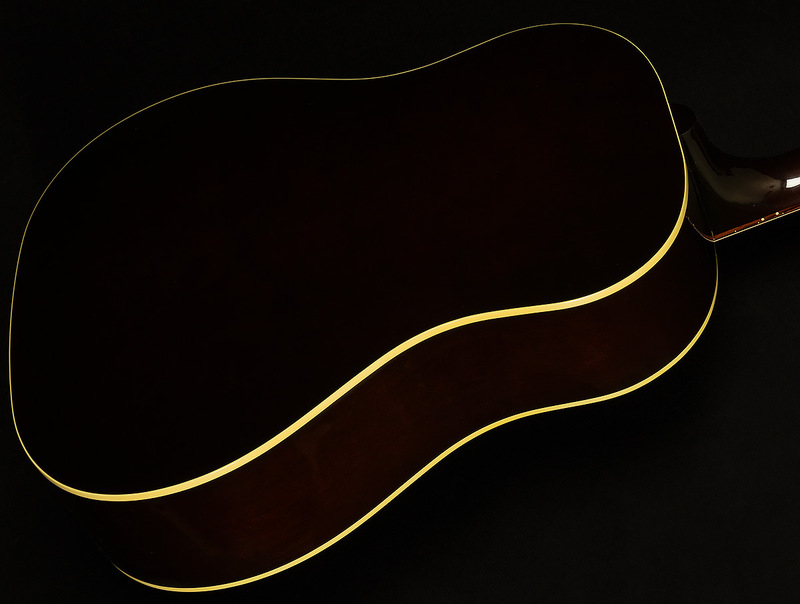 One of the things that we've noticed is that there is nothing quite like a great acoustic instrument that, like a fine wine, has aged over time, getting louder, sweeter and more expressive with every year that passes. Countless hours and massive amounts of energy have been invested into capturing that very tone and vibe over the years, from both Wildwood and our partners. The result is what we feel is the ultimate in vintage tone. 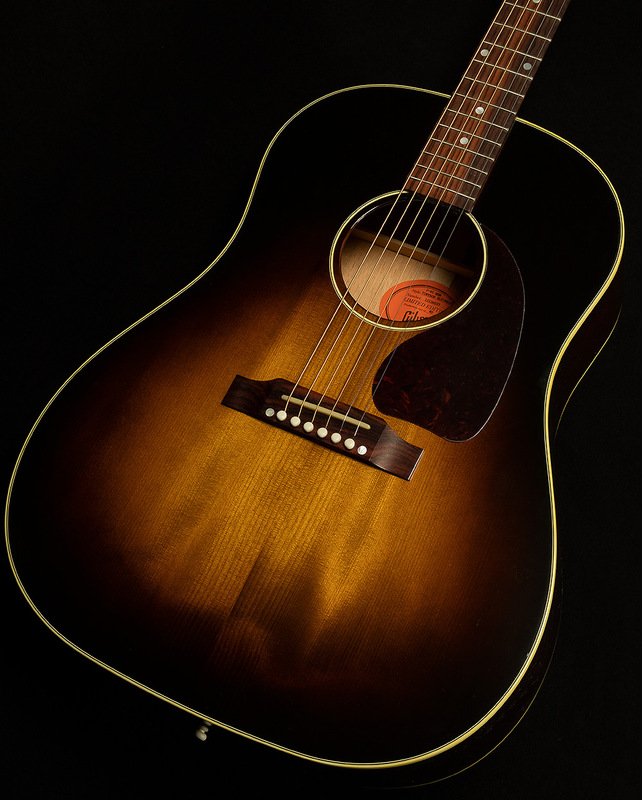 Wildwood Guitars is proud to present what we feel encapsulates a stellar vintage instrument; specifically a great J-45: The Gibson J-45 New Vintage Ultimate. Similar to our wildly popular SJ-200 New Vintage Ultimate, the J-45 variation utilizes thermally cured Adirondack Red Spruce and an all hide glue construction to create the ultimate tonal juggernaut, hearkening back to some of our favorite vintage slope shoulder instruments! Chords are loud, full and expressive, with a resonance and voice that is instantly recognizable. Single note runs are dynamic, vocal and dripping with overtones, resulting in an instrument that rivals some of our favorite vintage pieces. Wildwood Guitars invites you, our exceptional customers, to experience the ultimate in vintage tone and vibe: The J-45 New Vintage Ultimate! This acoustic is in good shape but does have a professionally repaired crack on the treble side of the body. 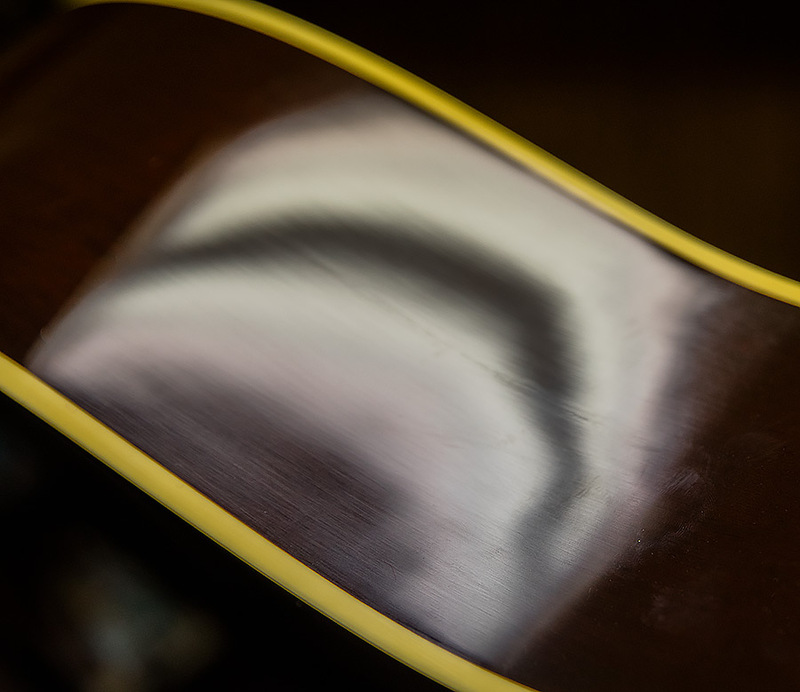 You can see where the crack once was, with the right light, you can also see a small bit of glue when looking from the inside through the soundhole. The guitar plays and sounds fantastic! 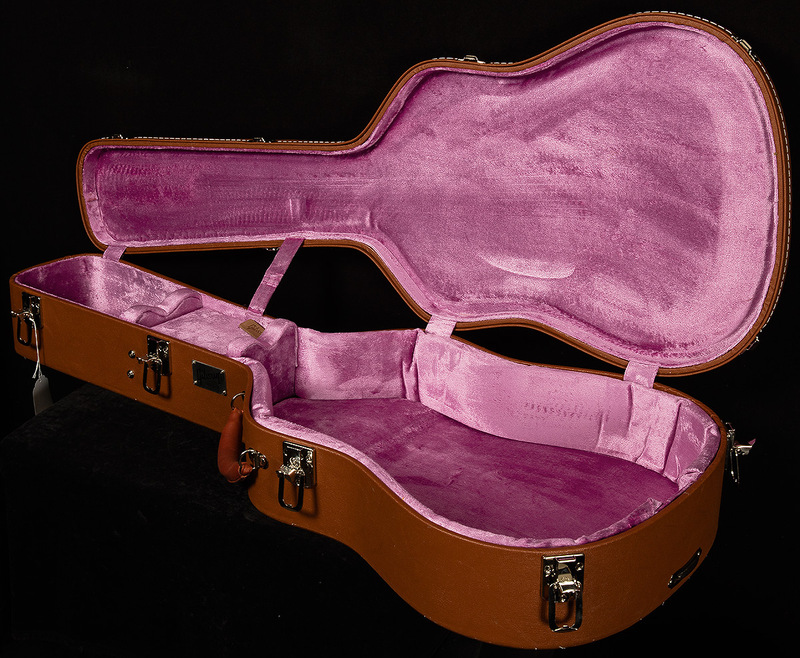 It includes the original hardshell vintage style case from Gibson.